I mean, we get the slightest drop in temperature, and we are ready for some chili! Yesterday Scott made chili, and we ate it for lunch and then again for dinner. I made some corn muffins, and it was delicious! He made a great big batch, so we’ll likely be eating it for lunch all week long. You can never go wrong with Pioneer Woman. 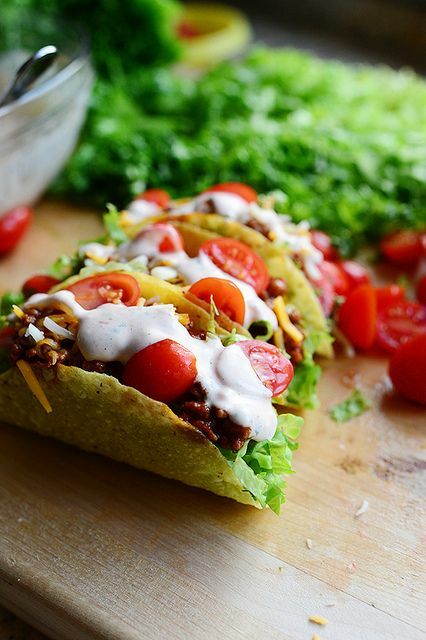 I like the idea of these tacos, because you pack the shells full of lettuce, and then top them with a bit of meat mixture, tomatoes, and a spicy dressing. Sounds good to me! For a Mexican side dish, I like to get a little creative. I quit making the unoriginal rice and beans a while back, because nobody would eat them! I pinned the Jalapeno Popper Salad a while back and thought it sounded good. I’ll probably dial back the heat a bit for the kids, but add extra jalapenos to mine and Scott’s! Scott is not a huge fish fan (I could eat it everyday), so we don’t have it often, but I try to work it in when I can. 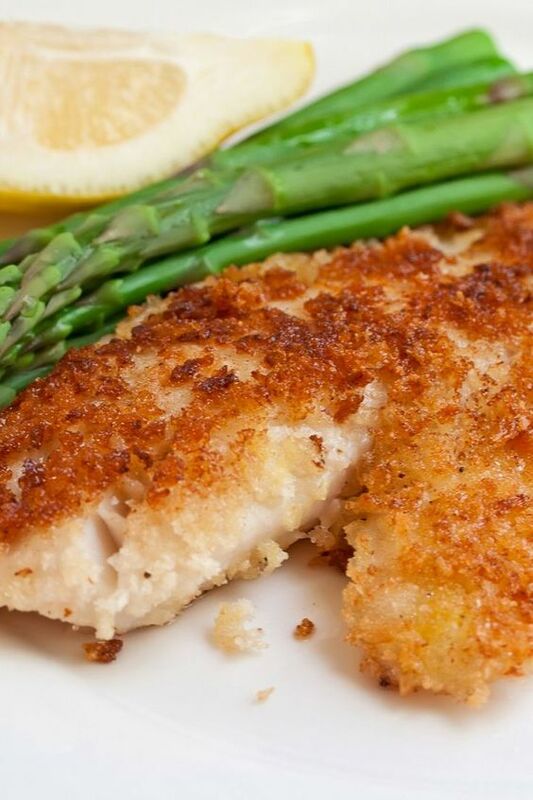 I thought this tilapia recipe sounded good- what could taste bad when parmesan and panko are involved? Throw a little broccoli on the side, and these honey butter roasted carrots, which are THE BEST, and dinner will be ready in a jiffy. I’m going to roast a pork tenderloin with some diced butternut squash, and once they’re both done, toss the butternut squash with some pine nuts, parmesan, and a balsamic vinaigrette over romaine for a yummy fall salad to go with the pork (maybe add some dried cranberries too). That’s all I’ve got for this week! 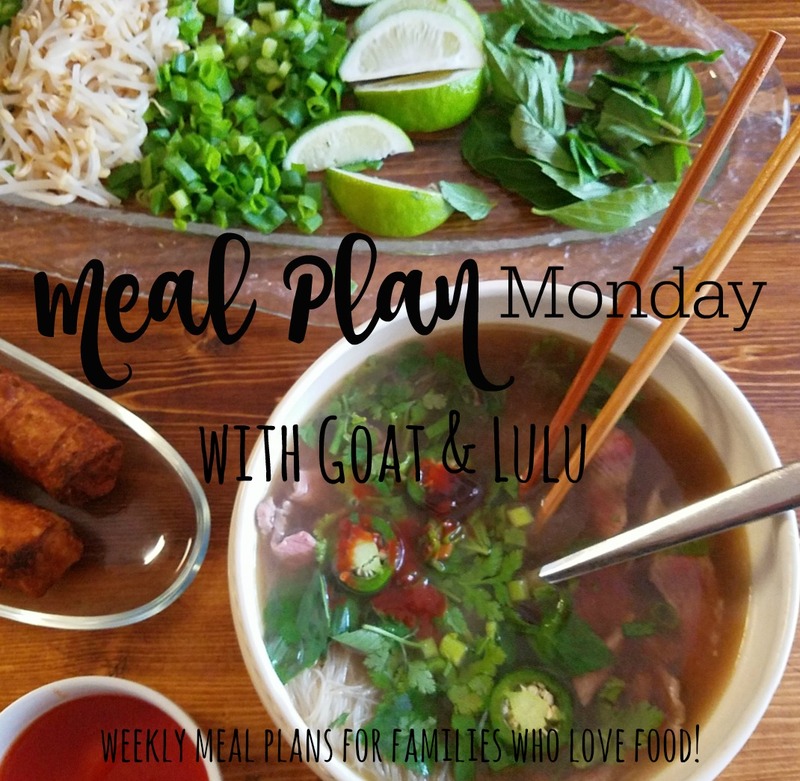 What are you making this week? Any new recipes you want to share? I love new ideas!